Are you ready for a challenging but rewarding volunteer experience? 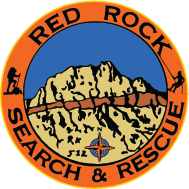 Red Rock Search and Rescue offers a unique opportunity to volunteer your time to help find missing loved ones, solve cold cases, rescue injured hikers, and do forensic searching. 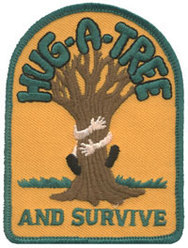 You can also serve as a resource member, helping your community without having to go into the field. Below, you will find descriptions and requirements for all the opportunities we offer. Pick the path that works best for you. You may also cross train if you desire. Field Searcher: The Field Team goes into the field to search for our subjects. You must be in good condition, able to withstand the rigors of searching many terrains (mountain, desert, urban). Over your first year, you will participate in our training program, take many online classes, attend exercises, and go out on searches. You will be heavily mentored so don’t worry if you don’t have much experience. We will train you. Make sure you have the time and commitment to go through our training program which will be between 10-20 hours per month. Command Post: Command post personnel work at the command center of our operation. They handle team communications, mapping, accountability, safety, scribing, and information processing. This is a great position for someone who likes working in a fast-paced environment. Resource: We have a great need for behind the scenes resources of all kinds such as Finance, Graphic Design, Web Programming, Marketing, Filing, Data Entry, Information Technology. PLEASE NOTE: Every applicant will be required to take and pass an FBI background check.